The president and the prime minister have confirmed their presence was not desired by the family of slain journalist Daphne Caruana Galizia for her funeral tomorrow. The funeral of Ms Caruana Galizia will be held at Mosta, starting at 2pm. "The Office of the President can confirm that Her Excellency expressed her wish to attend Mrs Daphne Caruana Galizia's funeral. However, the family, through a third party, affirmed that the presence of Her Excellency was not desired," a spokesman said. Likewise, a spokesman for the Prime Minister's office also said Joseph Muscat would be keeping away from the funeral. "The family has made it widely known that it does not wish the state authorities to attend," he said. Both the president and the prime minister were in the line of fire of Ms Caruana Galizia's writings. Mass will be celebrated by Archbishop Charles Scicluna at 2pm at the Rotunda Parish Church in Mosta. After the funeral, the President will visit the newsroom of The Malta Independent, the newspaper hosting Ms Caruana Galizia’s column for the last 11 years. 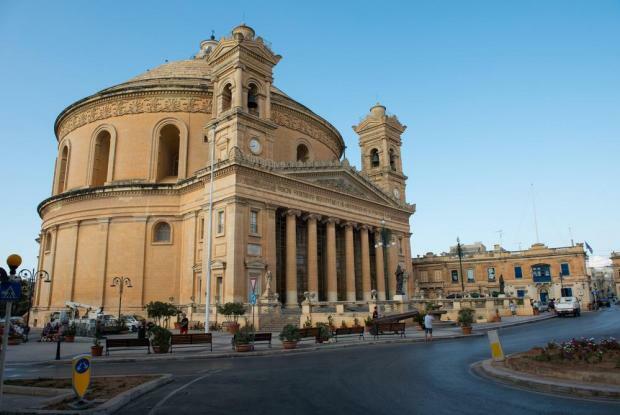 There will be parking restrictions around Mosta Dome on Friday from 11am onwards, in anticipation of the funeral. The Mosta council said that roads would be closed for brief period. The Chamber of Advocates has directed members to respect the national day of mourning tomorrow and cancel all sittings to be held in the afternoon. It said in a statement it had been brought to its attention that despite the government's declaration of a national day of mourning and the court's decision to shut at noon, a number of sittings were still being organised by some lawyers in the court precincts. The government declared tomorrow a national day of mourning after the slain journalist Daphne Caruana Galizia's family announced details of her funeral, which is being held tomorrow afternoon. A number of roads will be temporarily before and after the funeral - although there might be some deviations - and public transport will operate without interruption. The areas affected are parts of Constitution Street, Eucharistic Congress Avenue, High Street, Salvu Dimech Street, Parish Street and the parking by the Dome. The journalist was killed in a car bomb on October 16 in a case which shocked the country.